Like many young couples, Kim Roller and her fiancé Ben Gerber know what they want in their first home. They know where they want it, how big it should be, and how much they can spend. But after they met Realtor Carlos Ruiz de Quevedo, they added another feature to their wish list: energy-efficiency. Now the couple has settled on an Energy Star certified home in Coral Gables. As more and more home buyers seek “green” houses — to save money on electricity, to help the environment, or for both reasons — they may face a bewildering array of certification programs, each claiming to measure greenness. Buyers looking to purchase one of these homes need to know what each program measures and how authentic it is. And green building is a growing trend: According to results from McGraw Hill’s “The State of Green Building” survey, sponsored by the National Association of Home builders, by 2016, 33 percent of new home builders will build 90 percent of their projects to a green standard, as opposed to 17 percent of new home builders now. The survey also said that in 2011, 46 percent of home builders found marketing green houses to be easier than homes that were not certified as green. And while green building was once confined to office buildings and the custom homes of the Prius-driving elite, now even mass tract-home builders are adding green features and seeking certification. Ruiz de Quevedo, the previous owner of the home that Roller and Gerber are buying, said that his electricity bill used to peak at about $450. In remodeling the home to make it more energy efficient, he doubled the house’s size to 2,300 square feet, but his electricity bill went down to about $165 per month. In peak summer months, he saved about $300 in electricity a month while living there. “If you amortize that amount to 30 years like most mortgages, you are saving $108,000,” he said. Energy Star is a program backed by the U.S. Environmental Protection Agency, which certifies that homes are at least 20 to 30 percent more efficient than standard homes. To become Energy Star certified, a home must be reviewed by one of several certification programs that measure the efficiency of insulation systems, water pipes and heating and air conditioning. There are at least four certification programs that Energy Star works with, and each measures something different. While some are more focused on sustainability, others focus on monetary energy savings. Home buyers looking for an energy-efficient home should look closely at the claimed certification and ensure it fits the criteria they’re looking for. Ruiz de Quevedo stresses this point. “The real estate industry in Florida needs to come up with a legal definition of what is a green home and what certification programs are legitimate or acceptable,” he said. The Florida Legislature addressed this dilemma in 2008, when it approved three certification programs. These programs include Leadership in Energy and Environmental Design, or LEED, which is sponsored by the U.S. Green Building Council; the Florida Green Building Coalition; and the National Green Building Standard which is sponsored by the National Association of Home Builders. LEED measures efficiency from the bottom-up, including land use. Homes built on previously built-upon land receive more points, as do homes that are renovated. Points are also earned through water efficiency, energy use, recycled materials and indoor air quality. The more points the home has, the higher the certification level, with the highest being LEED Platinum. So far, Miami-Dade County has two Platinum LEED homes, one in Miami Beach and one in South Miami. The National Green Building Standard bills itself “the first and only residential green building rating system to undergo full consensus process and receive approval from the American National Standards Institute,” according to its website. Like LEED, the National Green standard measures similar components of the home and gives it a score — bronze, silver,gold and emerald. 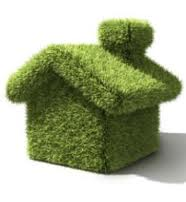 The Florida Green Building Coalition also has a program called the Florida Green Home Standard. More environmental measures are taken in this certification such as making sure the native trees and plants on the site are preserved and also prohibiting invasive plant species. Points are also given for renewable power generation and on-site irrigation systems. Suzanne Cook, vice chairwoman of the Florida Green Building Coalition, says the coalition’s standard is different than most. This means that houses are designed to work most efficiently in the climate they are placed in. She also said that the coalition has certified over 4,600 new homes in Florida, and the market is continuing to grow. This market includes mainly new tract homes. The land for the neighborhood must be certified before the homes may be built and certified. “Affordable, green multi-family housing is the hottest market in the industry right now and South Florida is no exception,” Cook said. Ruiz de Quevedo said residential green building programs are starting to make their way from exclusive custom homes to mass-produced houses. “Until recently, LEED homes were mostly owned by architects and other similar people who design and build for themselves,” he said. This is the case with what is going to be the first Platinum LEED certified home in Miami Beach. The home, under construction at 2020 Alton Road, currently has 108 points towards certification, with 10 more points pending. A home only needs 88 points to be Platinum certified, so this home is well on its way to a platinum designation. Matt Lahn, the developer— who is also a partner of the Florida Green Home Design Group — included elements such as solar panels, recycled drywall and double-insulated windows that added points toward certification. This home is priced at about $2 million. But, as green living is becoming a more normal standard, developers are beginning to create neighborhood communities with affordable green homes. One of these developers is Minto, which has operations in Canada as well as a variety of communities in South Florida that are composed of affordable LEED certified homes.Porto Sol in Royal Palm Beach and Cascada in Cooper City have green homes starting in the $200,000s. But, according to Carlos Del Amo, president of Smart Growth Realty, Miami-Dade is somewhat behind in the green trend. Del Amo is currently educating clients who have purchased retro homes on how to remodel and make them more efficient. He said the education and awareness of old homes is what needs to be focused on in Miami until the real estate crisis clears up. Opal Jones, executive director of the Miami-Dade Housing Finance Authority, worked with architects and builders to build two green homes in Liberty City. Although adding the green elements cost an extra $12,000 making the home $225,000, the buyer was only required to pay about $170,000. Jones also said that plans for six affordable green homes is South Miami are also on the drawing board. Jeff Vasilevskiy, president of Florida Green Builders said that right now he is only building custom green homes in South Florida, but his houses are comparable in price to traditional homes.